The new work and pensions secretary has been accused of misleading MPs about her government’s under-fire universal credit benefit system, after she was caught exaggerating the number of jobcentres she had visited since her appointment. 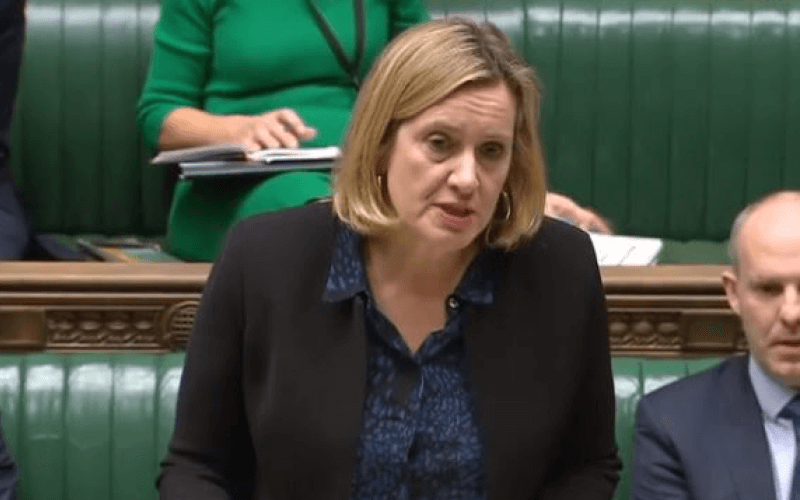 Amber Rudd told the House of Commons earlier this month that she had visited “many” jobcentres since being appointed to replace Esther McVey as work and pensions secretary in November. She used this reference to her frequent visits to justify her claim that jobcentre staff were “enthusiastic about universal credit”. But following a freedom of information request from Disability News Service (DNS), her department has now admitted that at the time of making that comment she had visited just four jobcentres in two months, and two of those were in London. The Department for Work and Pensions (DWP) said Rudd (pictured) had visited London Bridge jobcentre on 22 November and North Kensington jobcentre on 27 November. She then waited more than five weeks before visiting another two Midlands jobcentres on the same day, 4 January: in Yardley, Birmingham, and Longton, in Stoke-on-Trent. But Rudd also appears to have misled MPs earlier in the same Commons session, as she attempted to fend off an attack on universal credit by the Labour/Co-op MP Luke Pollard. Pollard had told her of a disabled constituent who had received a universal credit payment of just 1p, leaving him 77p to live on over Christmas, and he told Rudd that the system was causing “misery and poverty for far too many people”. But Rudd told Pollard of the efforts being made by work coaches and how she had “visited a number of jobcentres last Friday”. DWP’s freedom of information (FOI) admission shows Rudd visited just two jobcentres on that day. Linda Burnip, co-founder of Disabled People Against Cuts, said: “It seems we have yet another DWP minister who lives in a mythical fairytale world and who is also an outright liar. A DWP spokesperson refused to say how Rudd justified using the word “many” and whether she would now apologise to MPs for misleading them. Only last month, MPs on the work and pensions select committee warned that the move to universal credit could have “disastrous” consequences for disabled people if ministers failed to make a series of major changes. They warned that the introduction of the new system risked forcing disabled people “further into poverty, deprivation, miserable hardship”. Disabled activists have repeatedly warned that universal credit – which combines six income-related benefits into one – is “rotten to the core”, with soaring rates of sanctions and foodbank use in areas where it has been introduced, and repeated warnings about its impact on disabled people.